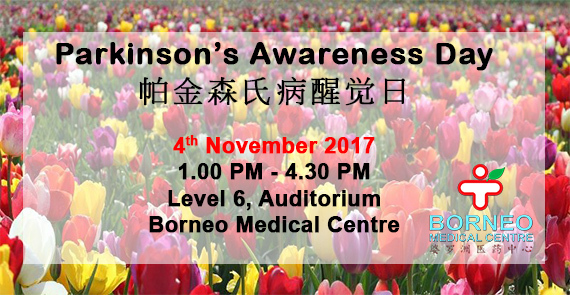 In order to better understand Parkinson’s Disease and available treatment option, do join us on the 4th November 2017. The event involves sharing from patients living with Parkinson’s, talk by our Neurologist and Neurosurgeon, Taichi and Dance Along among many other fun activities. Door gifts and refreshment provided. RSVP by leaving your name via SMS/Whatsapp to +6 016-889 8310.